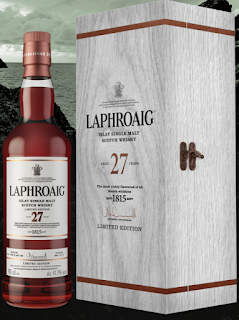 Missouri is very fortunate to be 1 of 14 states in the U.S. that we will be receiving the highly, highly allocated Laphroaig 27yr in a couple of weeks. This is a one time offering, with only 2,400 bottles released in the US. To make this exquisite liquid, mature Laphroaig previously aged in refill hogsheads was transferred into first-fill ex-bourbon barrels and refill quarter casks. Patiently aged in Laphroaig’s famous Warehouse No. 1, these casks were then hand selected for a final maturation. 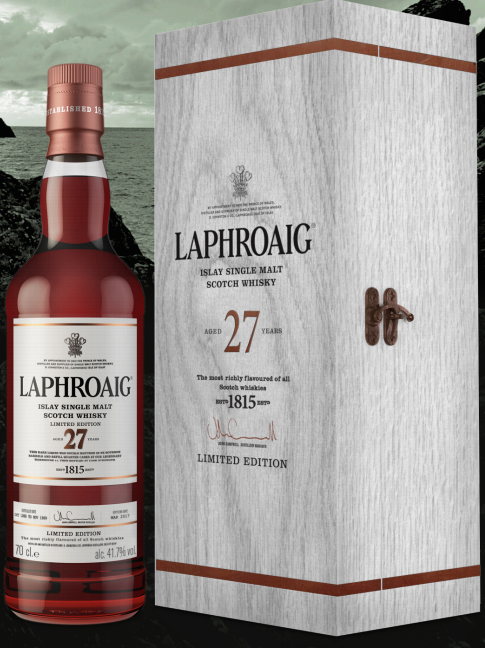 This rare whisky features a touch of Laphroaig’s trademark peat smoke tempered by lime and sea salt.